Now Dante can hack and slash his way to awesome music. Hey Pwners! It’s Lozzical once again with another fix of video game news. But this time, I’ll touch up on something that is rather…musical. Well as you all don’t know, this Devil May Cry reboot features the biggest artists in the music world (well, not the mainstream world that is) and have contributed their music to the game’s soundtrack. I know what you’re thinking; “Hey, what’s a J-Rock band doing with a game that’s filled with hacking and slashing?” You’re not the only one. I had the same question in my head when I heard the announcement that they were doing a song for the game. After I got news that their song was already released, I decided to take a listen, and guess what. It…blew my mind away. Even for an image song for the game. As a fan on the band, I never really thought that they could pull it off with a game like this. The music video is actually worth the watch, and trust me…you WILL get attached to the song once you listen to it. You can like their Facebook page, follow them in Twitter, or visit their website to check them out. 2. Drum n’ Bass producers, Noisia. A group of three Dutch men, Noisia made several music scores for video games since they were up and about in the music scene. They made one for a racing game called Motorstorm Apocalypse. And once again, they have made it into making the soundtrack for the latest Devil May Cry soundtrack by adding a little bit of their Drum n’ Bass into the scores. Yes, I never expected this as well until I saw their tweets about a “sample” soundtrack for a game. And it was WORTH the listen for this sample track, which ends up becoming a main theme song for one of the characters in the new installment, Mundus. Their soundtrack has been released and if you love their music, like their Facebook page or follow them in Twitter. Well, for this part, I kinda expected that their songs would make it in the DMC soundtrack list since…they do sound similar to the past Devil May Cry artists that have made the songs. But all I have to say for this is, Combichrist really made one hell of a soundtrack to hear for Devil May Cry. I may not be a fan of them (well, I’m slowly getting to them since it’s really good), but you can go ahead and like them on their Facebook page, follow them on Twitter, or check out their website if you like their music! 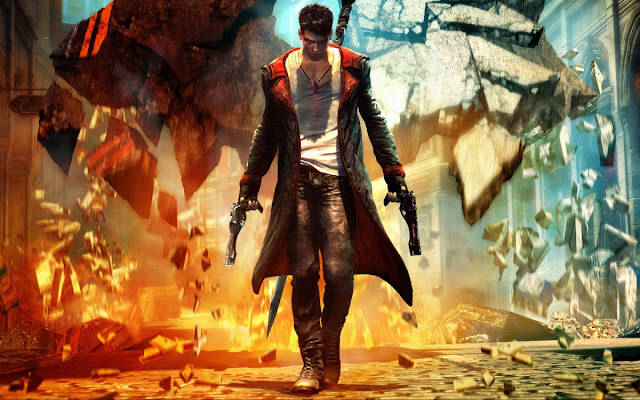 Oh and one more thing; Devil May Cry releases on 15th January 2013! Don’t forget to keep pwning guys! Article by: Jesvin “Lozzical” Kaur.